Last March, we traveled to Jack Daniel’s Distillery in Tennessee for the unveiling and first ride on the Jack Daniel’s Indian Chieftain Limited Edition. The bike was built by Klock Werks Kustom Cycles out of Mitchell, S.D. This was the second year the trio of American companies united to create something unique. The first models – built on Chief and Springfield platforms – arrived in 2016, and helped Jack Daniel’s celebrate its 150th anniversary. The unity of “American’s First Motorcycle Company” and “America’s First Registered Distillery” was a hit with select motorcyclists, all 150 editions of the bike selling out within hours. A similar situation occurred for the 2017 Chieftain Limited Edition we rode – but all 100 JD Chieftains sold out in 10 minutes. For 2018, this unity continues, and once again a different platform was used. Meet the 2018 Jack Daniel’s Limited Edition Indian Scout Bobber. The custom Scout Bobber pays homage to first responders, and is modeled off of Jack Daniel’s Fire Brigade. The Bobber arrives with top factory upgrades, and is highlighted by the gold and black paint scheme that takes influence directly from the Jack Daniel’s Fire Brigade. The Tennessee whiskey company is the only distillery in the world with its own fire brigade, and is staffed entirely by volunteer employees. Like the 2016 and 2017 Jack Daniel’s custom Indian motorcycles, the Scout Bobber will only be available to a select few; as a nod to the “Old No. 7 Brand,” only 177 will be built globally. The bike celebrates not only the state-certified firefighters of Jack Daniel’s, but firefighters and EMS professionals everywhere. 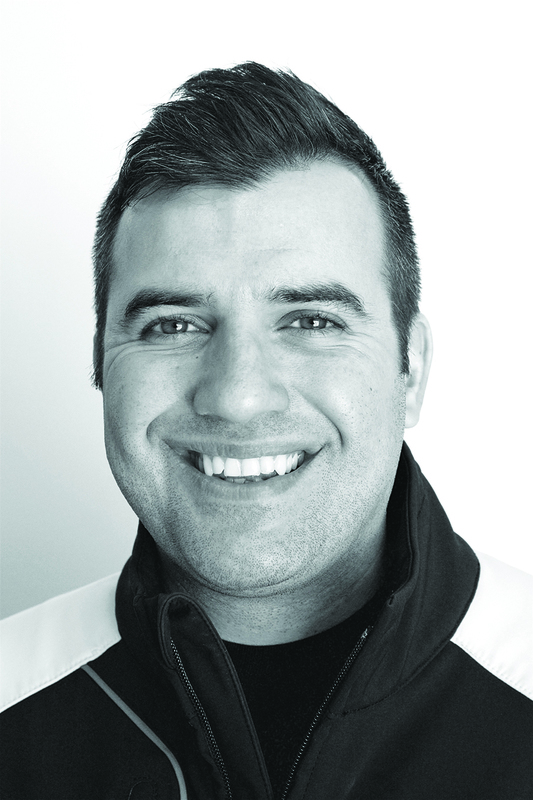 “Our partnership with Jack Daniel’s celebrates American craftsmanship of the highest order,” says Steve Menneto, President of Indian Motorcycle. Klock Werks used two-tone matte black paint, a first for Indian Motorcycle, and the Bobber covered in real 24-karat gold graphics on the tank and fenders. The 24-karat gold carries through to the Fire Brigade emblem on the tank and the “Bottles and Throttles Don’t Mix” emblem on the front fender. Premium gloss black finishes on the fender struts, hand control levers, engine valve covers, and exhaust tips, while a gold colored Indian Scout badge further showcases the attention to detail given in the design of this limited-edition bike. Also unique is a one-of-a-kind Montana Silversmith badge that’s individually numbered and coated with real 24-karat gold. In addition to the bike’s custom accents, it also features chopped fenders, bar-end mirrors, vented exhaust shields, knobby tires and a sleek headlight nacelle. 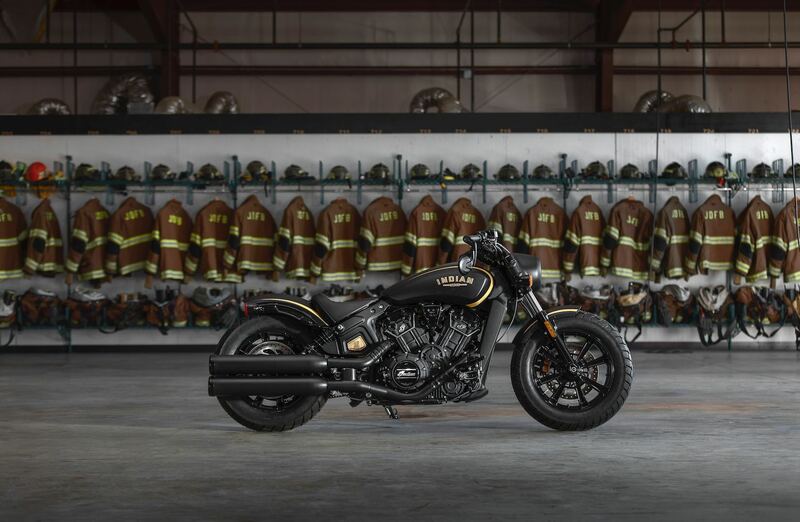 To celebrate the hard work, commitment, and bravery of all firefighters and EMS first responders, Indian Motorcycle and Jack Daniel’s are hosting a sweepstakes only open to these service members. The Jack Daniel’s Limited Edition Indian Scout Bobber will be available globally for order starting 12 p.m. EST on March 13. To reserve one, visit or call an Indian Motorcycle dealership. The 2016 Jack Daniel’s Limited Edition Indian Springfield and Chief Vintage models sold out in less than 8 hours, while the 2017 Jack Daniel’s Limited Edition Indian Chieftain sold out in less than 10 minutes. Each bike will come with a commemorative fireman’s axe, which will be engraved with the owner’s name, motorcycle number (#001-#177) and VIN. Pricing starts at $16,999 in the U.S. and $20,999 in Canada. Each bike also comes with a two-year unlimited mileage factory warranty and free membership in the Indian Motorcycle Riders Group for one year. Each bike will be built to order with delivery starting in August 2018. For additional information, visit IndianMotorcycle.com.